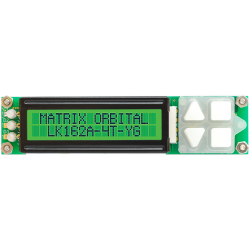 The LK162-4T is a 16x2 intelligent LCD display designed to fit into half height 1U form factors. 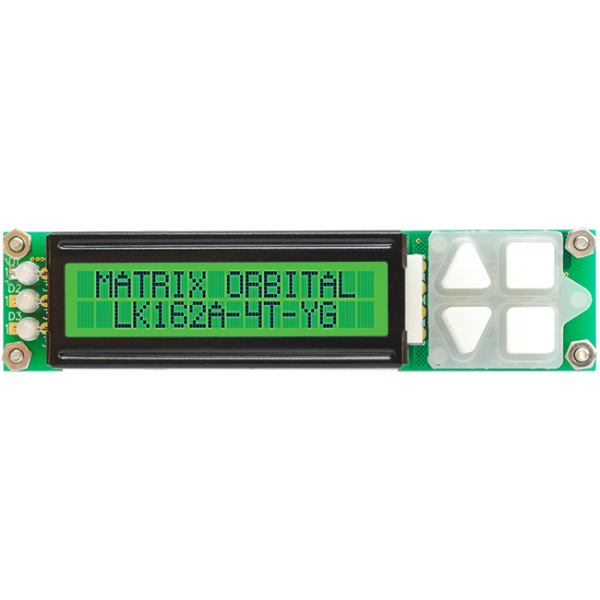 Engineered to quickly and easily add an elegant graphic HMI to any application. 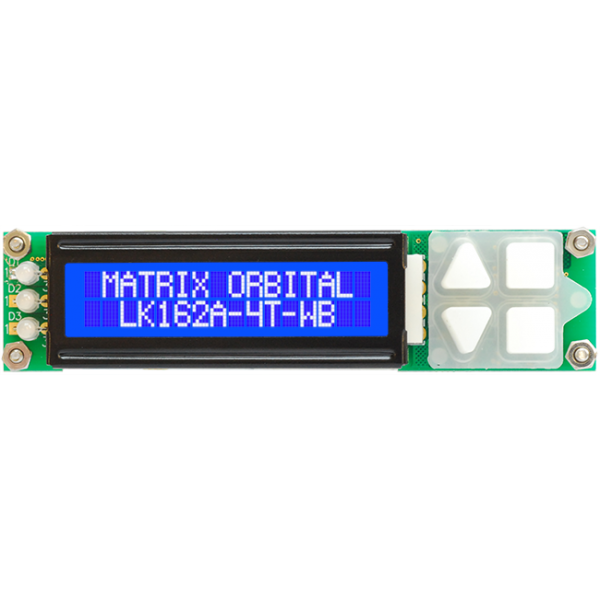 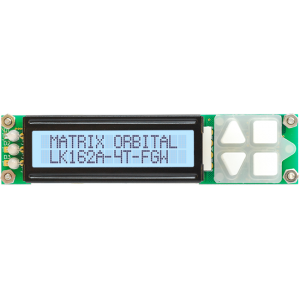 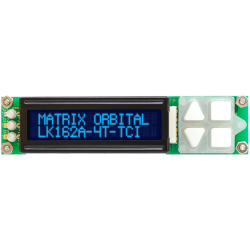 Multiple communication protocols such as Serial RS232, TTL, I2C, and USB communication models allow the LK162-4T LCD to be connected to a wide variety of host controllers. 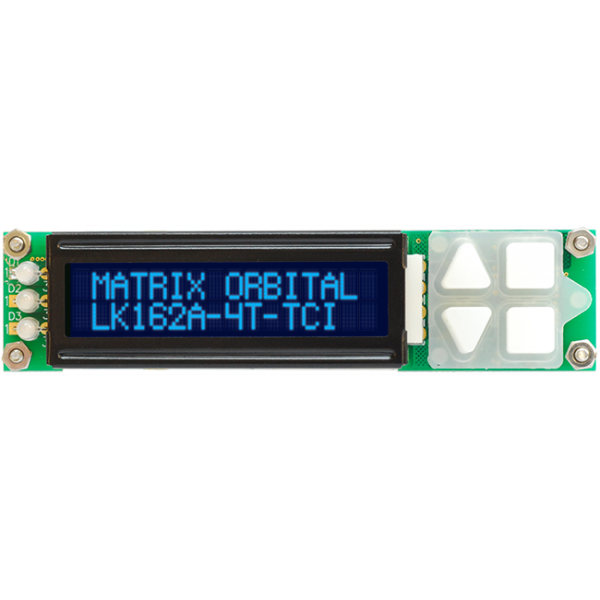 Our Intelligent LCD provides you with a cost-effective industrial HMI user interface solution for that great product/project you are developing. 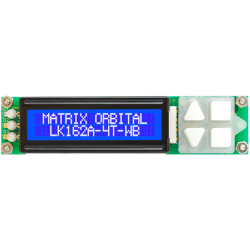 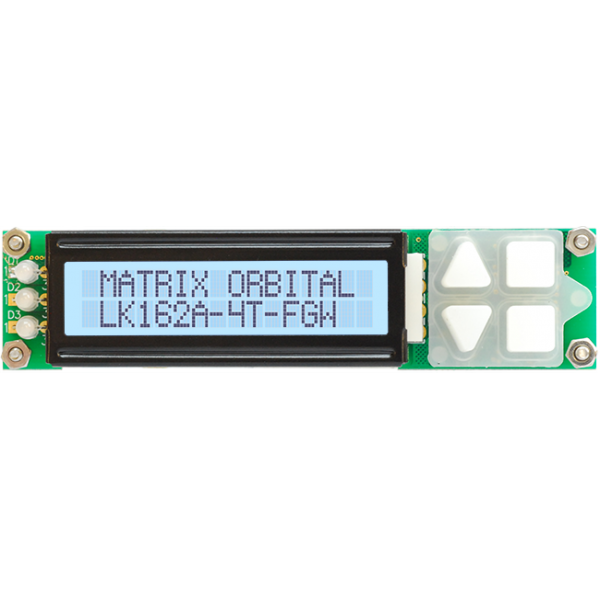 This LCD displays features optional on-board medium digits, bar graphs all with the convenience of a 4 key backlit tactile keypad will allow fast development for any application.